I actually just died. Hahahaha. Get your hiragana **** outta here along with your flower skirt. Thanks holtenc! Your Prime_E looks great with GMK Jamón! Just found out that this is Year of Pig for Chinese New Year starting Feb 6...stars are aligned for this drop. 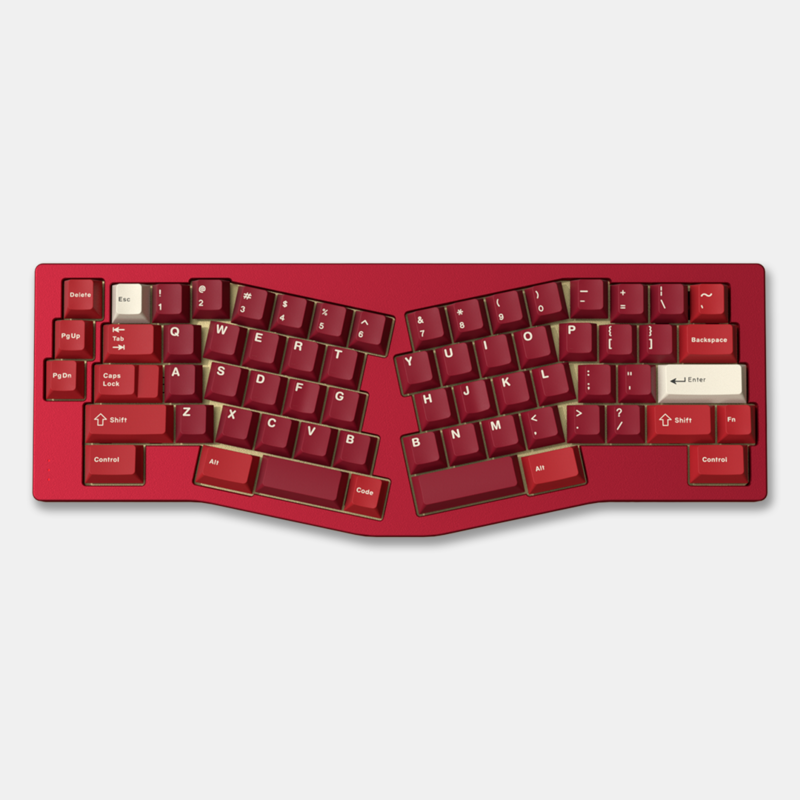 2019 Year of the pig, otherwise it wouldn't be the pinnacle of keyset development! Moved on from glue long ago. Epoxy is where it's at. 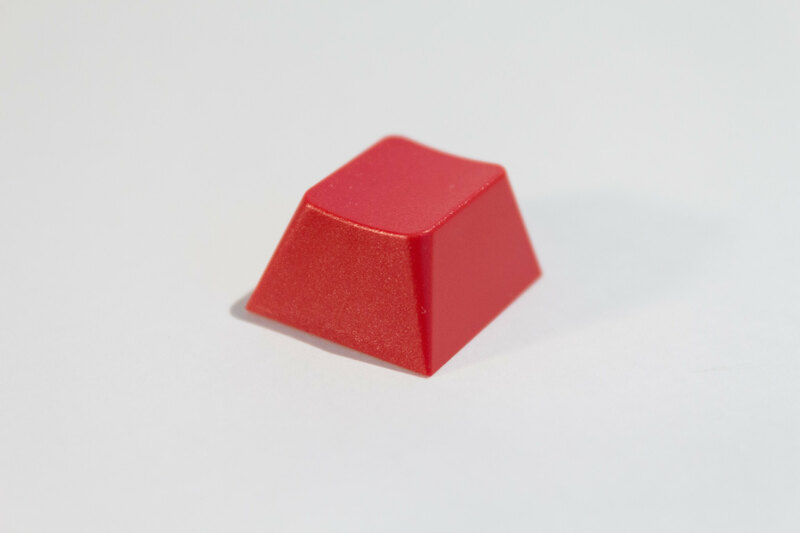 Another use for that extra B key, nice! 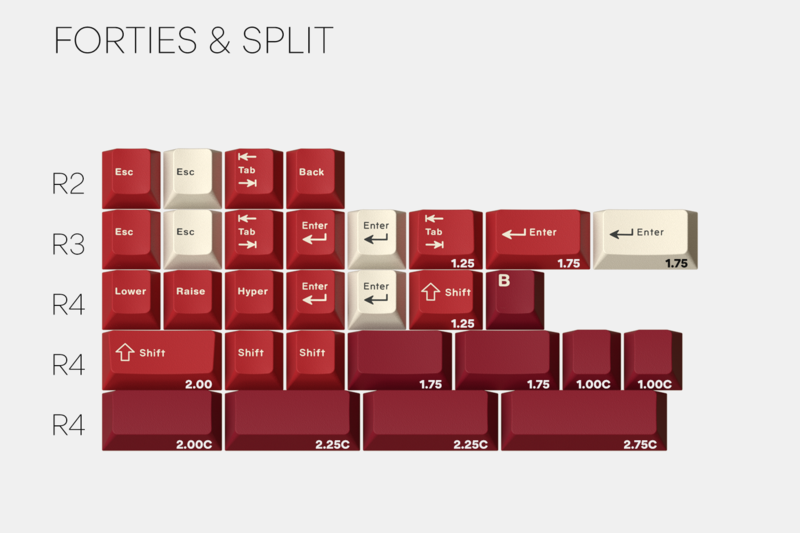 Haha didn't realize the 40s/split kit had the extra B key until you mentioned it. Love it! 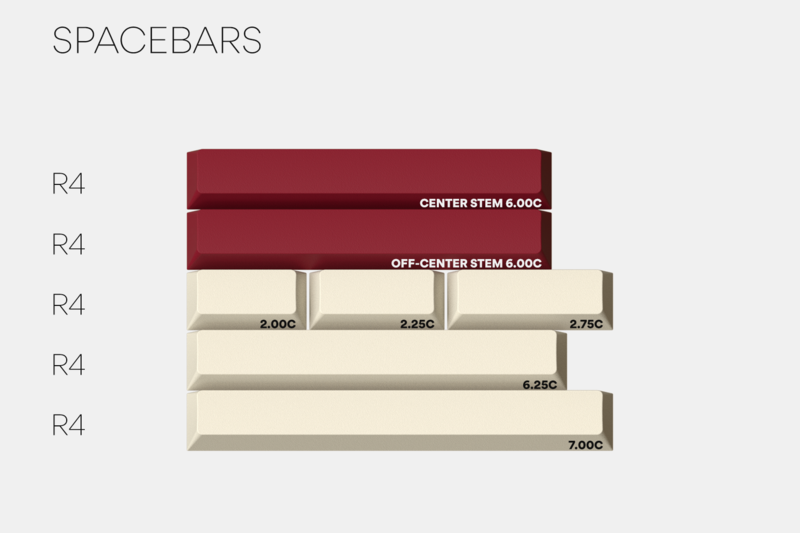 It's a small detail to add ergo users some incentive to get that kit, as it isn't particularly small compared to the spacebars one. 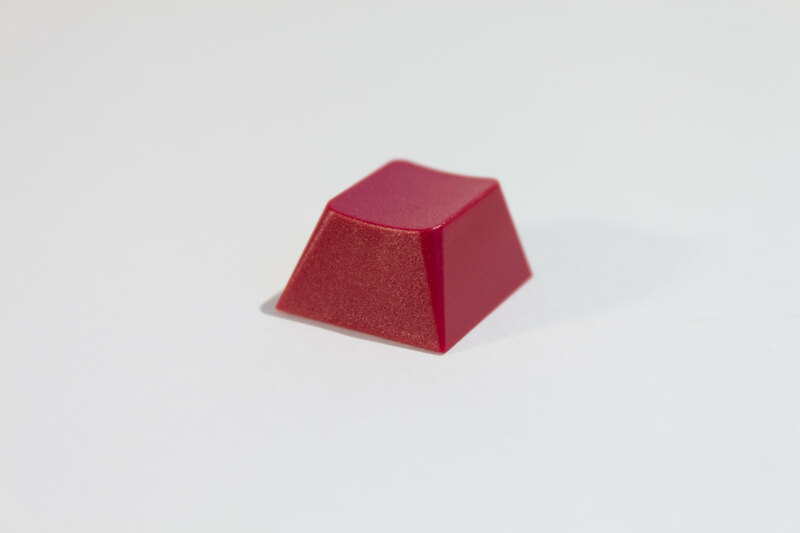 GMK has confirmed that Jamón samples have arrived. 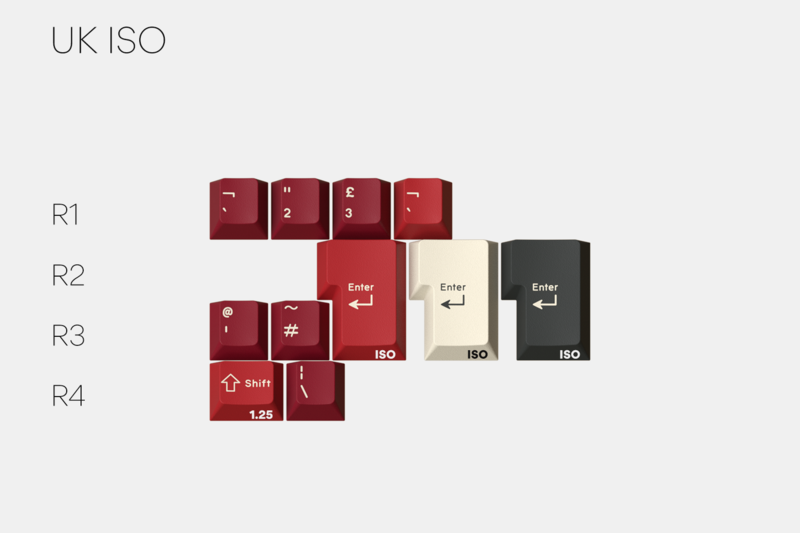 According to them, both reds should be spot on with the color codes provided and will be shipped tomorrow. If everything goes well, we should have them before the group buy starts. Sorry if I missed this but I can't seem to find when GB is planned to start, when is the planned start date? 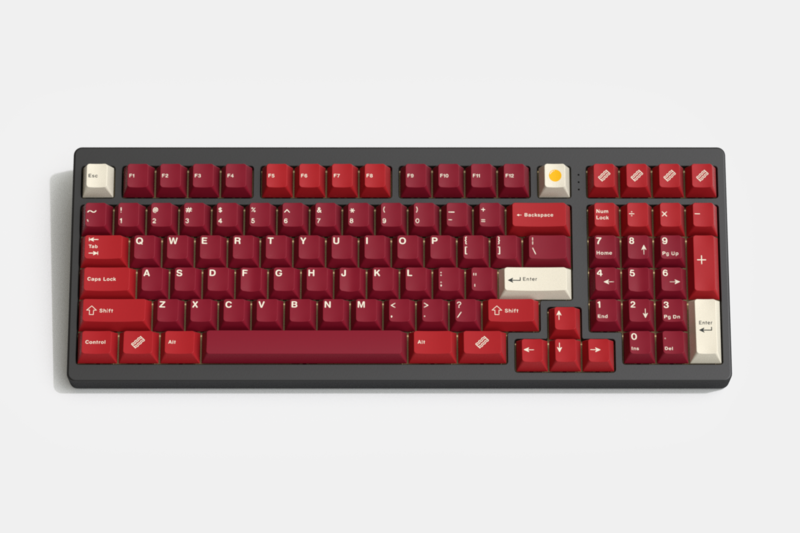 February 2019, if you vote for the set, Massdrop will notify you right before it goes live so you won't miss the drop! Thanks! Looks like the poll is closed but I'll keep my eyes on MD. :O I didn't know that! That's a good sign! I think that they've actually closed the poll, before you could update your vote if you wanted to change your preferred kits. Much appreciated. 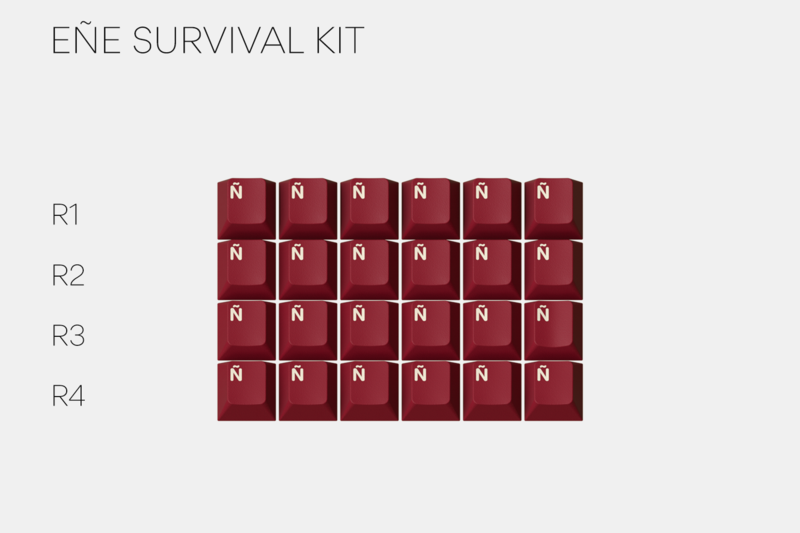 Will be getting many kits with this set. I'm going to ñ the crap out of a keyblade and name it Ñcalibur, on top of other kits. Tizona is probably the most famous sword in Spain. Please provide proof of 100% pure white balanced and color-correct images. 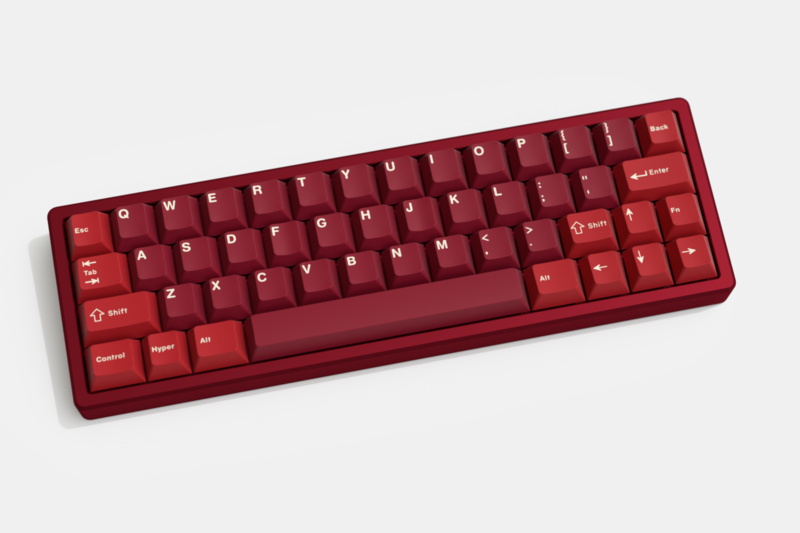 Here is a [Flickr Album](https://www.flickr.com/photos/142001978@N05/albums/72157678049786838) with some pics of GMK Jamón color samples. As I commented back in December, with the new render setup I'm getting less saturated colors, now that I have decent pictures I can use for reference, I'll tweak all the drop page renders and replace them with new more accurate ones. 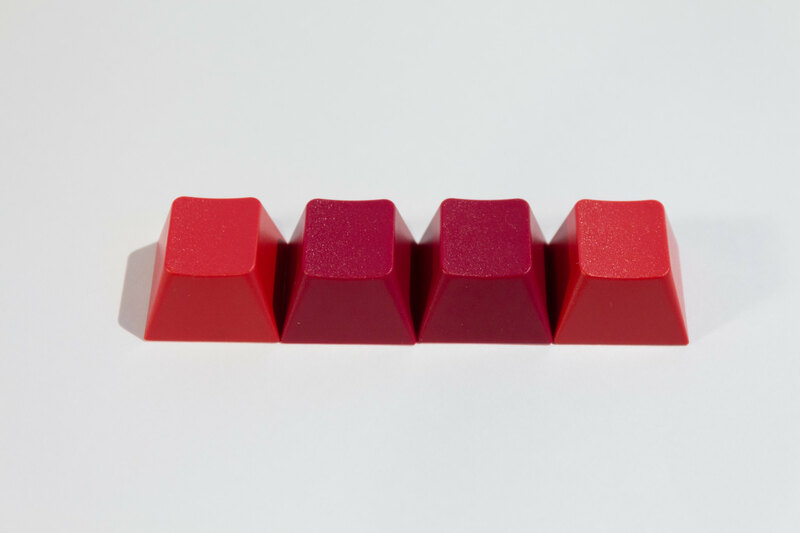 - Alphas: 020 30 48 vs R01: the differences are subtle, I just like the custom color more, it's more vibrant. 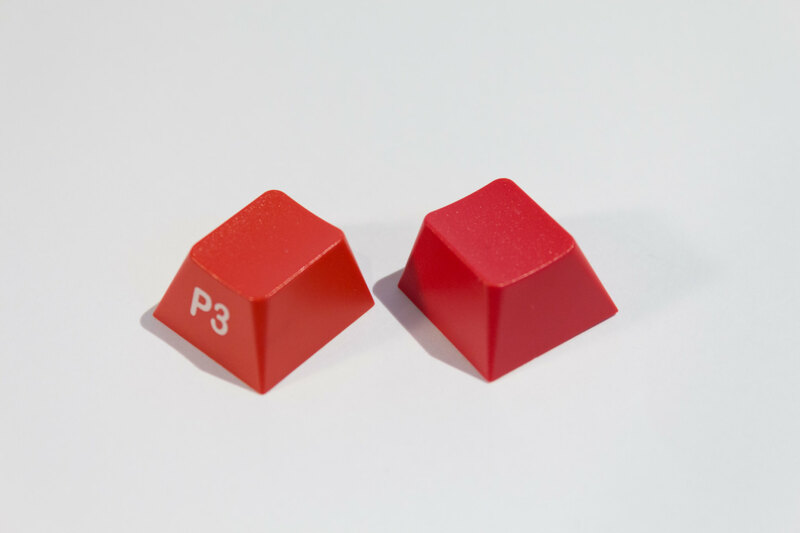 - Modifiers: 030 40 60 vs P3: P3 was too "orangy", the custom color we are going for is an insanely good red. 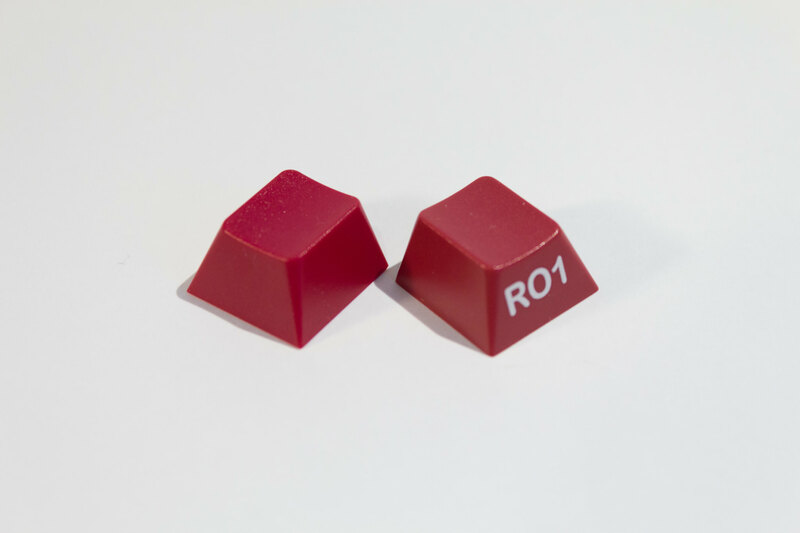 The difference in P3 to custom color is considerable, I dont notice that much difference in R01 and its couterpart (may be its just me), but the custom colour combination looks much better. Good call on P3. Looking fwd to this drop. 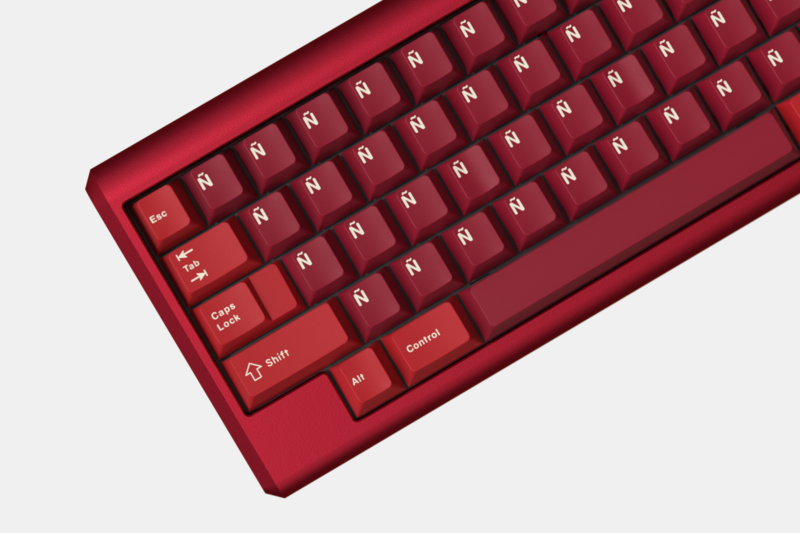 My wallet has been crying since amazing drops from q3 2018, but this and Samurai Blue and no more GMK for me. The difference with R01 and the custom color is more noticeable IRL, and as you said, it has a better match with the mods. 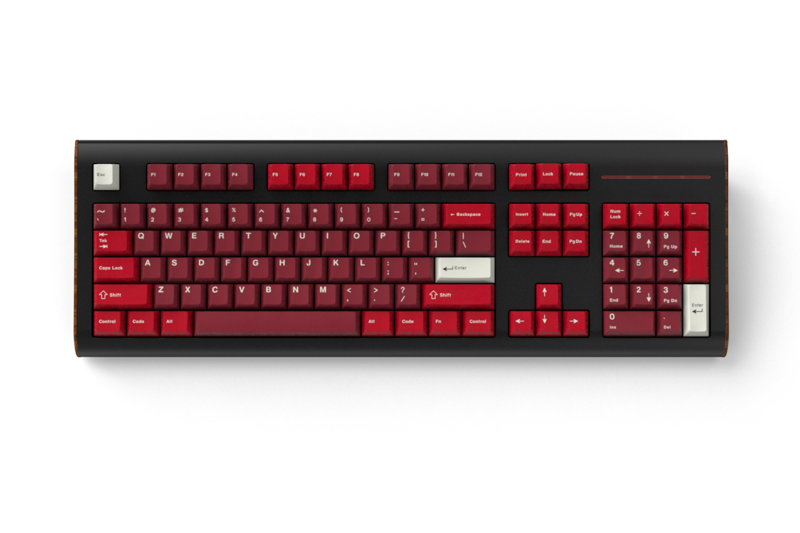 Since we have both colors, and we know how accurate GMK is, it shouldn't be an issue to use this custom one. 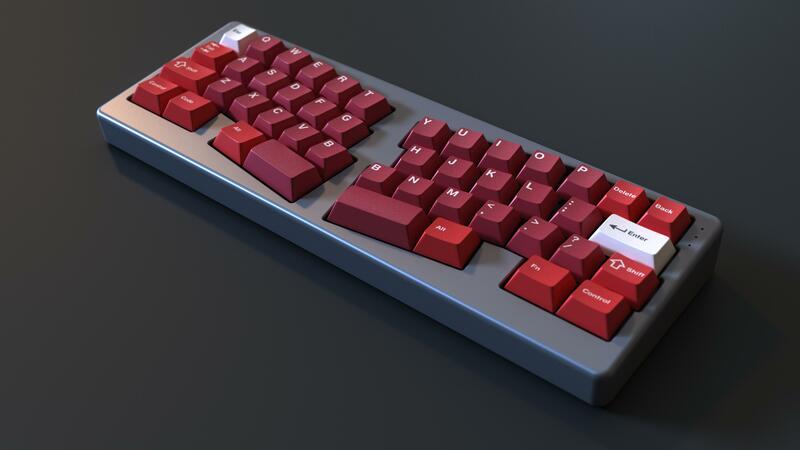 If you have time available and feel like it, any possibilty of few renders on full size KB in black? That's some sick samples, defo will build a couple meme C boards lol. You always deliver Zambumon ! Edit: talk about Ñ, is there a estimated price point for it ? 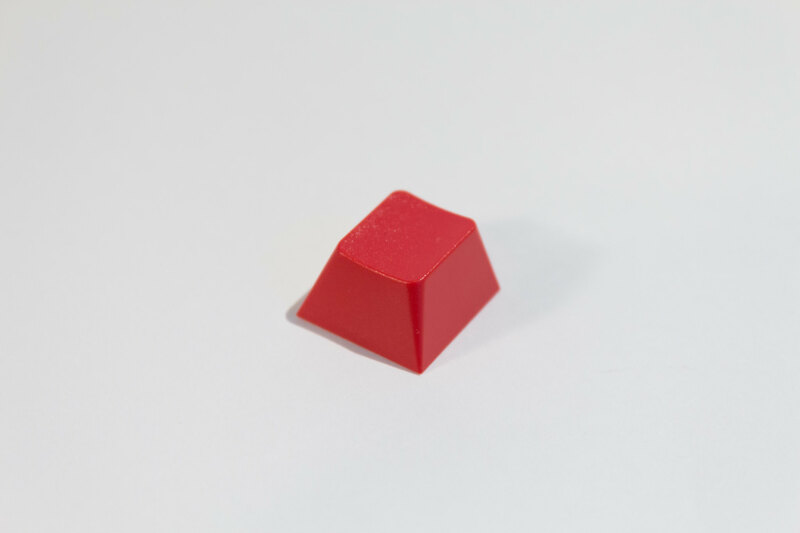 I do hope it'll not be as expensive as other addon kits like Novelties as it's just a normal key being printed 25 times but i could be wrong, really hope it's affordable as i'll be getting a ton of them! It's a decent size kit, but it will fairly inexpensive. It's funny, after saying previously that I was unsure about the less saturated renders, I actually now prefer them to the originals! Thank you, love it, Feb is gonna be an expansive month, but so looking fwd to it. I was worried about the colors a bit when the renders got tweaked to better match the samples, but those custom colors are absolutely gorgeous! I'll be in for all the kits. 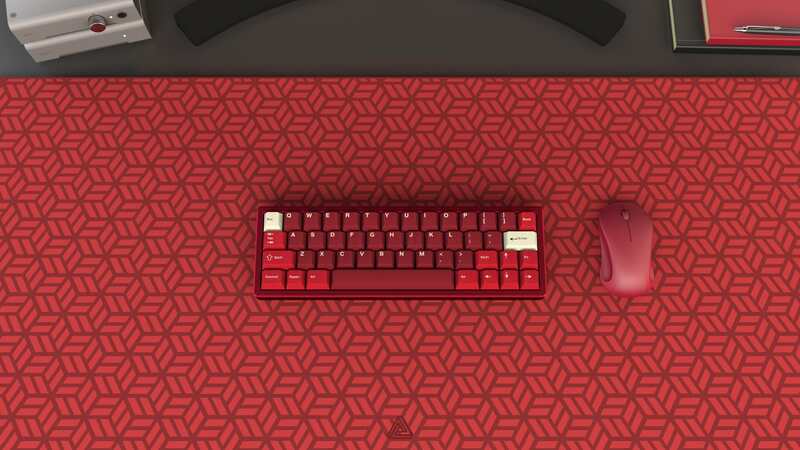 :eek:that's a lot of keycaps. Thanks for the support for this set so far! I'll update today all the renders and replace them with somethat are a little bit better than the current ones. My wallet is ready! 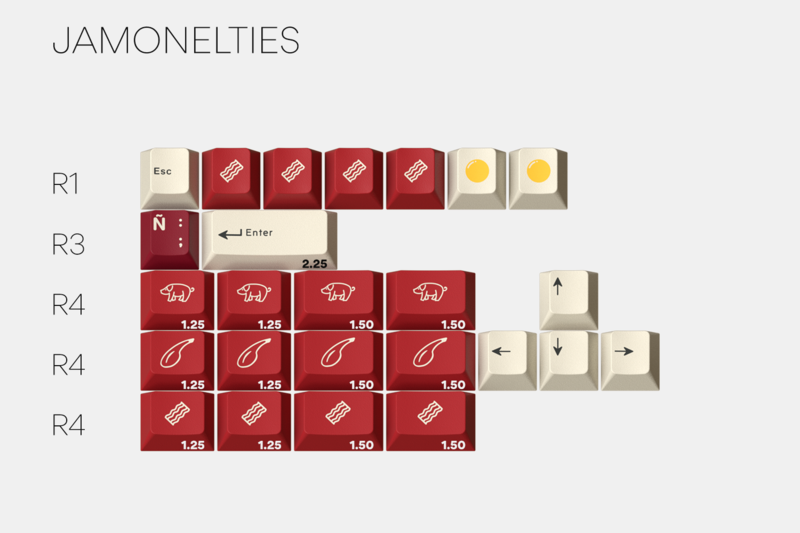 Am I the only one thinking about 2xtime ene survival + forties + pata negra (for R1) to cover a planck? Actuakly, you would only need just two Eñe kits! Just to confirm: you've considered R3 PgUp and R4 PgDn (extended 65% support) and have decided against it? Samples and kits look good to me! 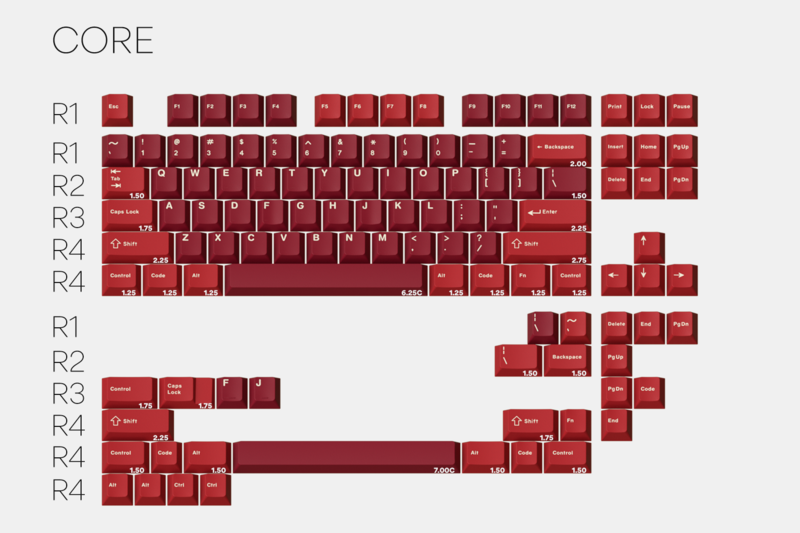 Swore I would never do another GMK red set with how different Burgundy turned out from its renders, but this is growing on me. They were considered, and a part of the initial December 2018 update. However, they were removed with the January update. Otherwise we wouldn't get the pricing we got, and every penny count when you want to set up a set with multiple extension kits. 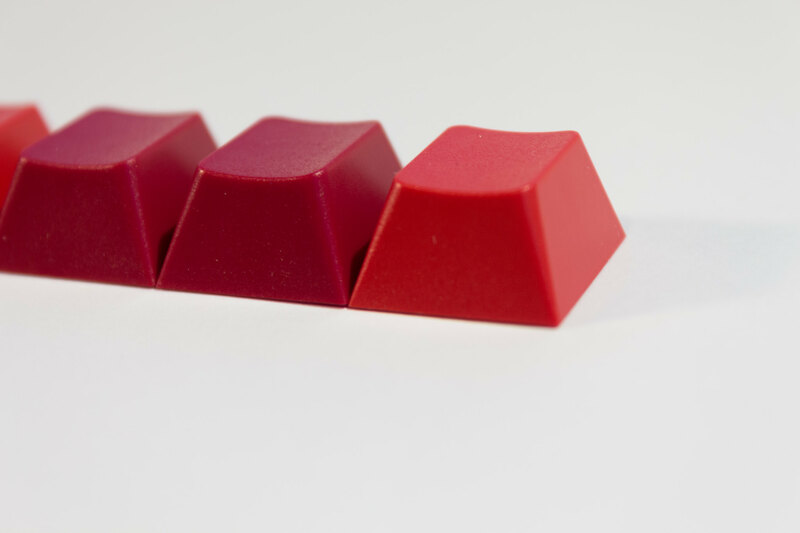 I like these over R02 (the color used for Burgundy). 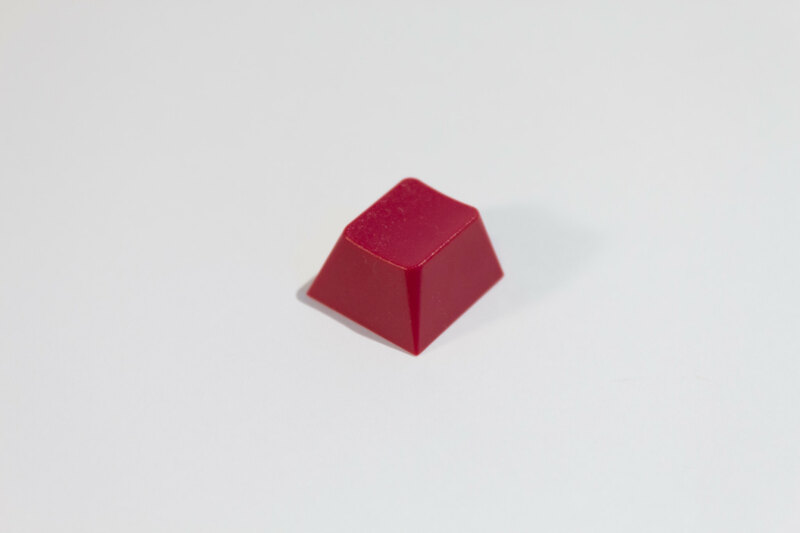 The custom color we are going with, while its difference is very subtle, it matches better with the mods than R02. I'm super excited to see the final product. Even better, I miscounted the columns. 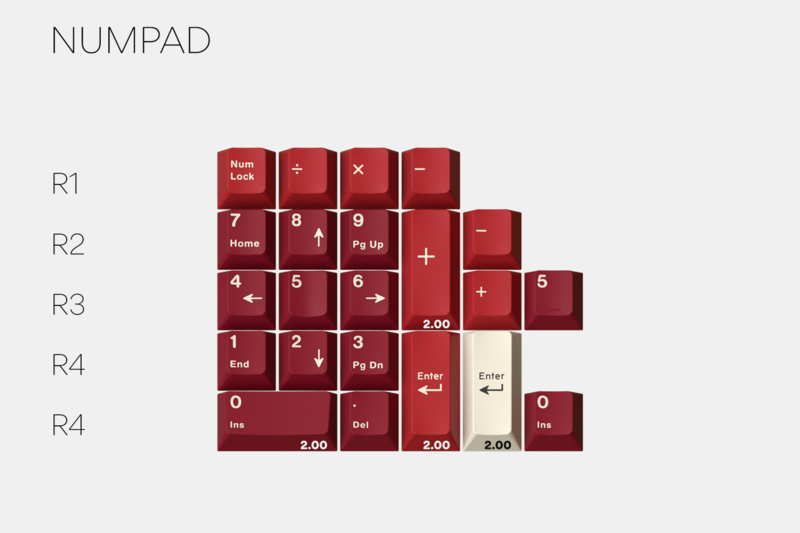 Two Eñe kits might actually be the cheapest one could have a GMK full ortho planck, ever. And the profile would be r1-r4, and not r2-r4r4 like otherwise, interesting! 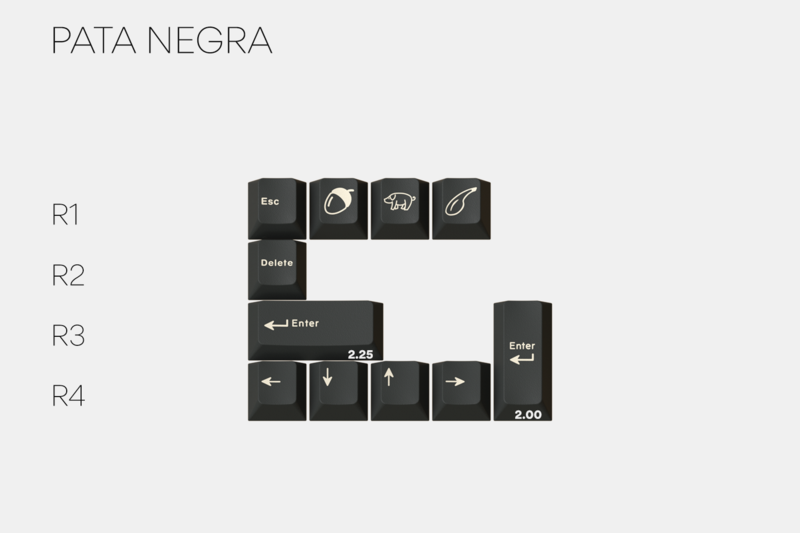 Will still go for the Pata negra + forties for "flavor" (and 2u spacebar). The set looks amazing, thanks!